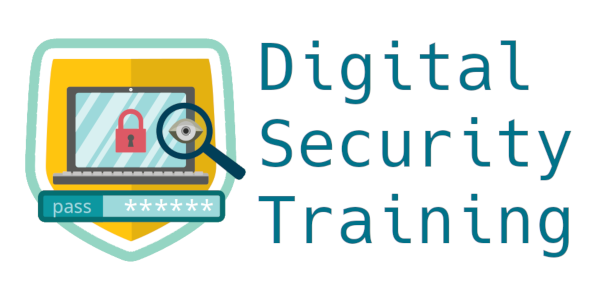 Why do we need Digital Security Training? In the times of Big Data and Internet of Things, digital security has become more significant than ever. Data-driven private giants are rapidly collecting and analyzing vast amounts of personal data belonging to individuals. Every electronic device and service today has the ability to monitor its users’ activities in excruciating detail, spawning an entire industry that treats data as money. As data-driven businesses come up with new and inventive ways to monetize personal data, civil liberties such as the right to privacy are often left by the wayside. In addition, there have been instances where cyber-attacks have compromised highly sensitive personal information on a very large scale (such as the recent ransomware attacks and the attack on Equifax that leaked social security numbers), proving that cyber-security is no longer a niche area. Increasing reliance on the Internet and smart devices is exposing people to more cyber-security threats, and the problem will only be compounded as technology permeates ever deeper into daily lives. In this scenario, it is a cause for concern that most users remain unaware of the privacy and security risks that they face on a daily basis, or the nature and extent of damage that stands to be done in consequence. We conduct ‘Digital Security Training’ Workshops designed to raise awareness in this regard and educate attendees on the fundamentals of digital security. 'Digital Security Training' project is undertaken by Software Freedom Law Center (SFLC.in) as part of Kamalnayan Bajaj Fellowship Initiative (formerly the India Leadership Initiative), a collaboration between the Aspen Institute and the Ananta Aspen Centre, India. We are always open to collaborating with interested organisations to conduct more trainings, or create and disseminate training material. Contact us today if your organization, institution or company is interested in partnering with us or inviting us to conduct a workshop. If you are a techie, you could share your technical knowledge, or contribute code to the project. If you are a technology writer, you could share your expertise, help us write and review content for the project. If you are a designer, you could help us look better, contribute artwork like posters, banners and stickers, and designs for handouts and user guides. If you are a tech speaker, you could help to further spread the knowledge by becoming a volunteer trainer at our workshops. If you know an Indian language, you could help us translate the content of this website into that language. Even if you do not fall within one of the above, you can let us know that you are interested and we will find a way to be able to value your contributions. Join the volunteers mailing list today to stay in the loop regarding ways in which you can help!